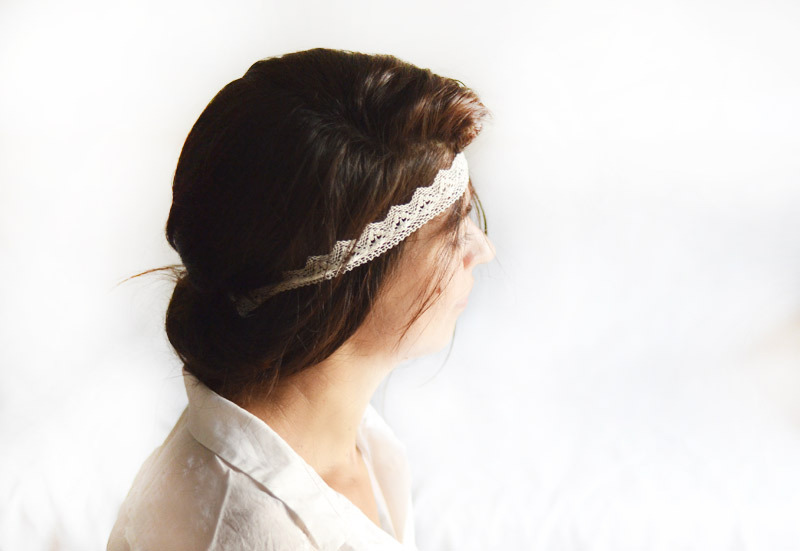 For this tutorial, we thought of wedding hairstyles or parties This lace headband is very simple to make and adds a nice customization to a simple hairstyle. 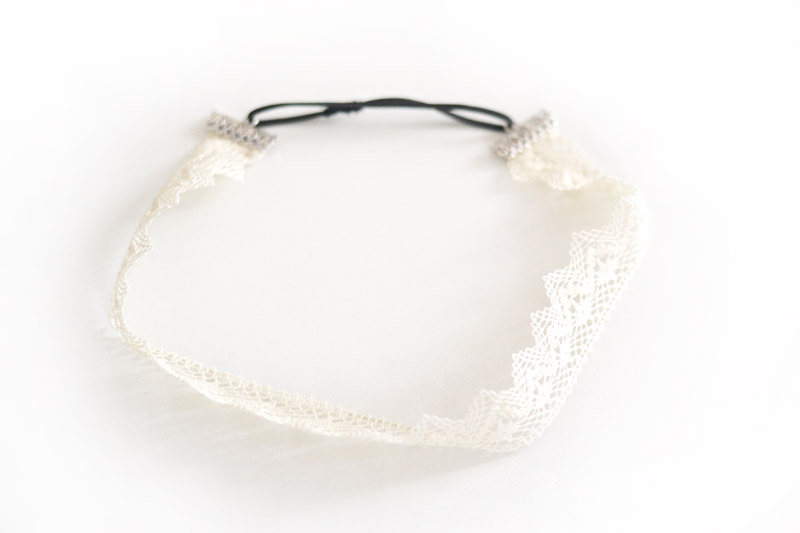 The tutorial can be adapted to the manufacture of any lace or ribbon headband, it just requires that the metal fastener width is adapted to the ribbon width! 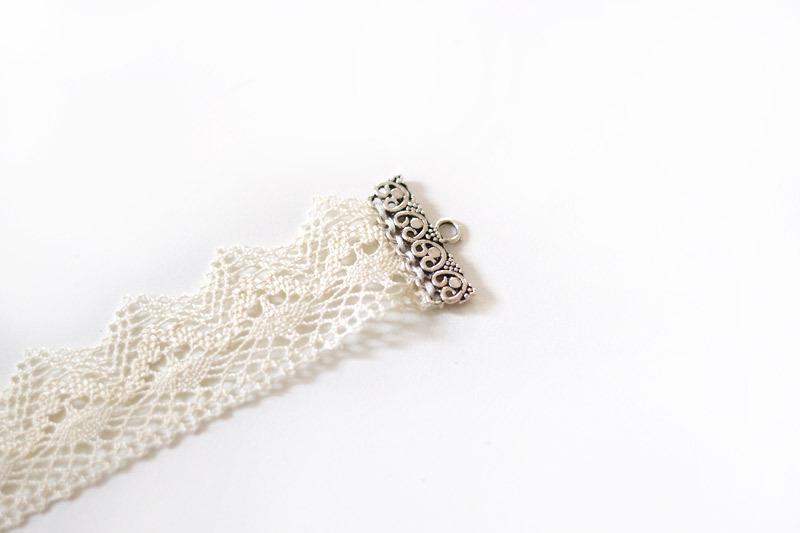 1 / Prepare your sewing needle with the thread and lace. 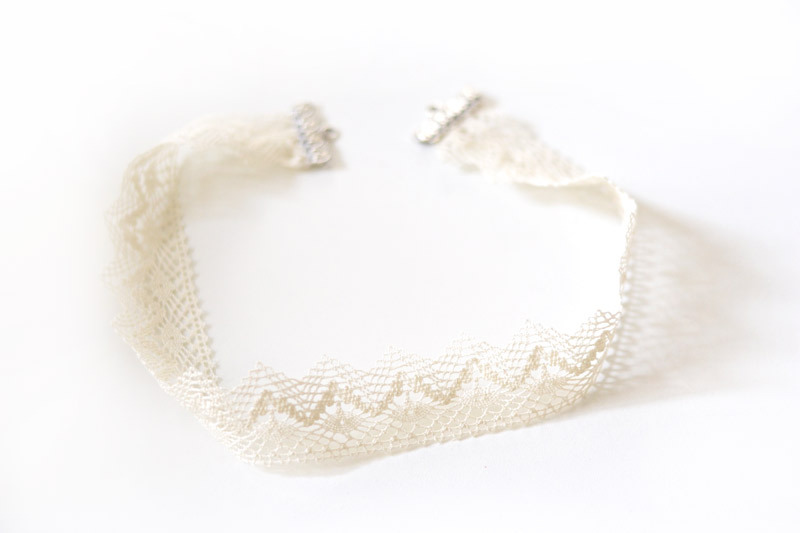 2 / Fold the tip of the lace once and then a second time to form a small hem and sew the hem with your needle. 3 / Sew stitching still in the second row of holes, with back stitches. 4 / Repeat with the second side. 5 / Then insert the black or white elastic in the remaining two large loops. 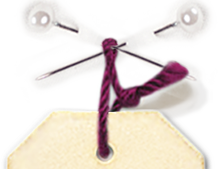 6 / Sew by hand or machine (with a zigzag stitching) the elastic previously 1 cm superimposed. 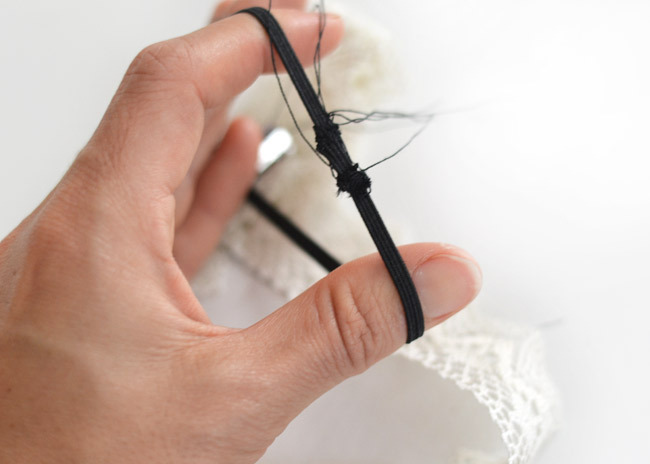 7 / Cut the threads and try! 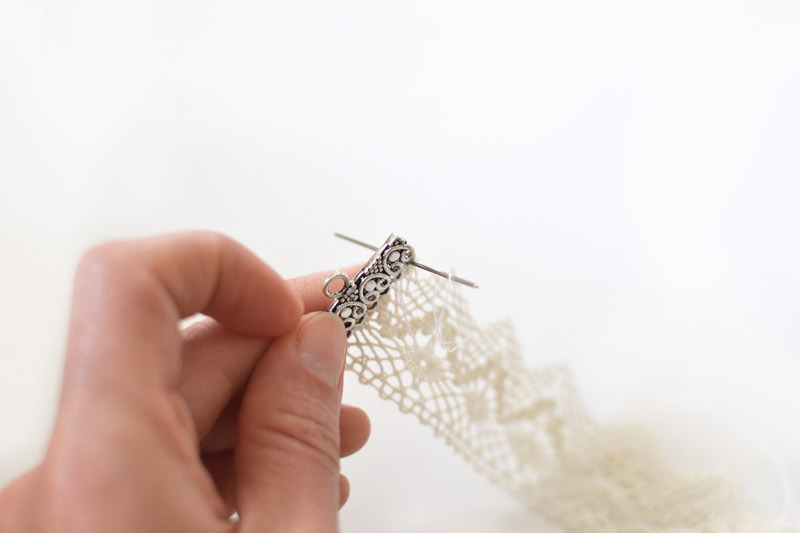 We have a large selection of laces, ribbons, or even trimmings that can adapt to this tutorial, leave room to your imagination. Just check the box "I'm not a robot" before validating the form. To avoid having to use this system to prevent pirates from the web, please login to your account (sign up for disposal).